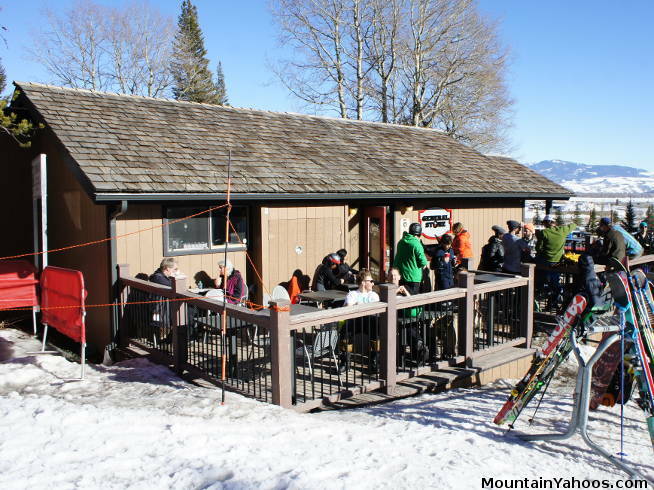 On a sunny spring days you will find the patios of The Handle Bar (shown above), General Store, Mangy Moose and Nick Wilson's Cowboy Cafe packed with happy skiers and boarders with an adult beverage (or at least a beverage). This is where you will hear at least one story about Corbet's (success and failures). Dare I state the obvious, cold days will send everyone indoors and sunny days will pack the patios. 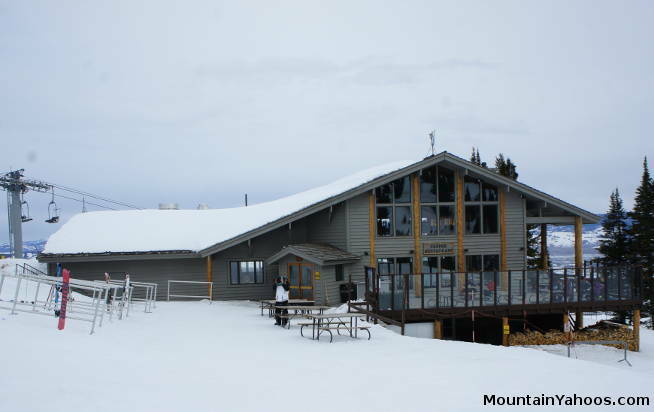 There are four dining options on the mountain as well as a few more at the base. 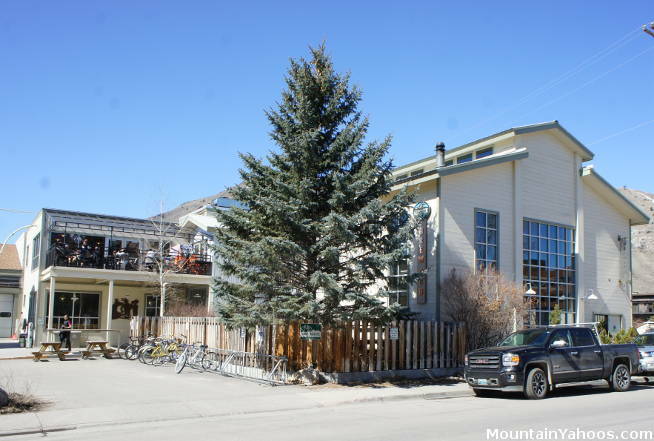 A half hour away in the town of Jackson, there are even more options. lunch and dinner. Mexican restaurant. 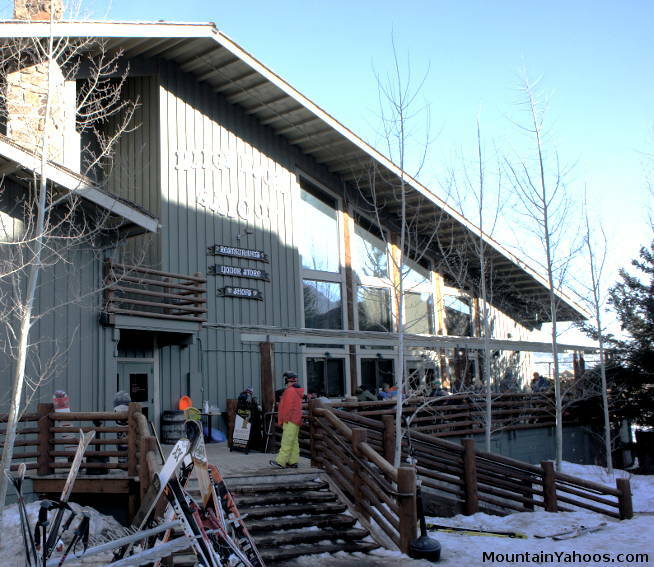 Nightlife ends early on the mountain. 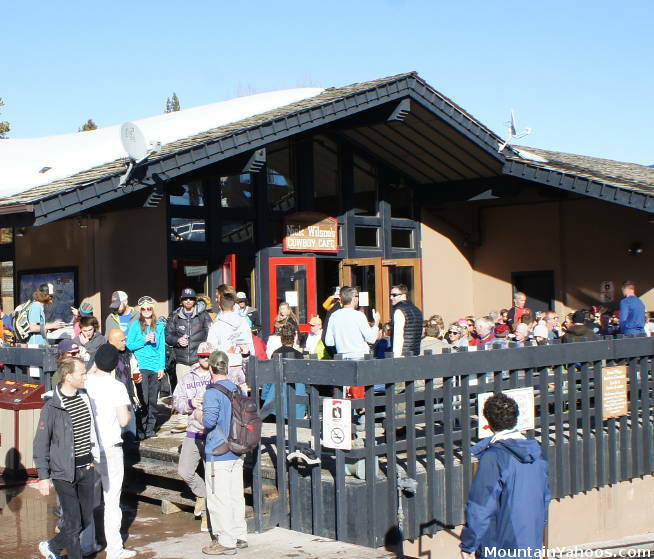 The primary social activities are centered on the apres ski activities. 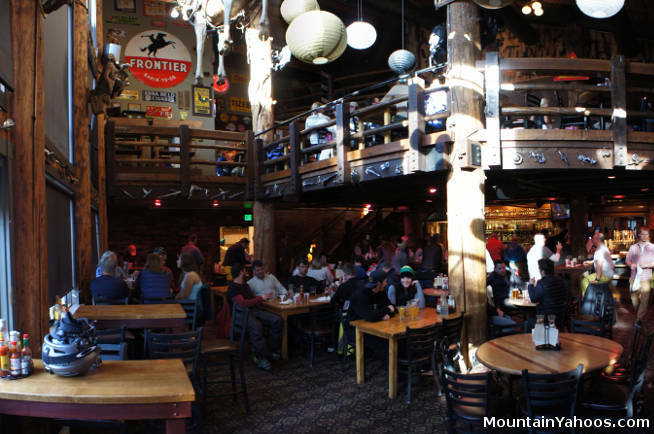 The Mangy Moose often has live music and is your best bet for nightlife at the mountain. In the town of Jackson, the Pink Garter Theater often hosts live bands. Check their schedule: Pink Garter Theater schedule. On Sunday evenings one can find a live band at The Stagecoach Bar. 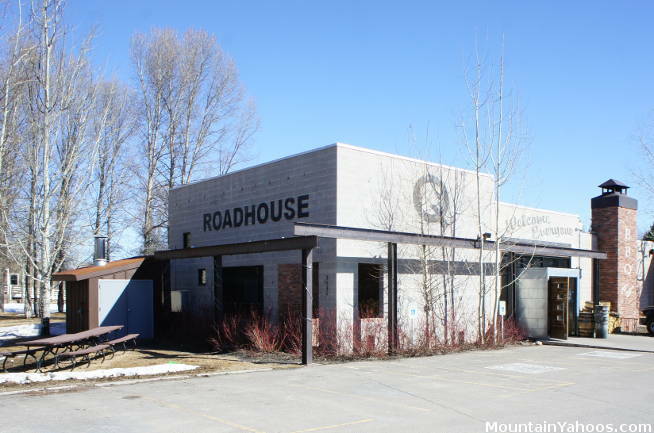 No need to check their schedule, there is a live band every Sunday and had been for 44 years.